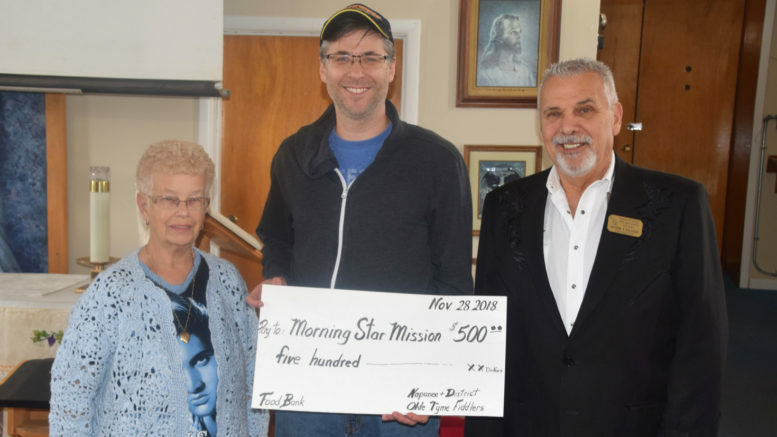 Napanee and District Old Tyme Fiddler treasurer Shirley Benjamin and president Mark Larabie present a $500 cheque to Morning Star Mission executive director Kevin Alkenbrack. The money, raised through their monthly dances, will support the Mission's Christmas Day meal and gift program, which takes place at noon on Dec. 25 at the Mission. Photo by Adam Prudhomme.